I am absolutely thrilled that WWE finally decided to induct the greatest legend of our era into the WWE Hall of Fame! IT'S ABOUT DAMN TIME! 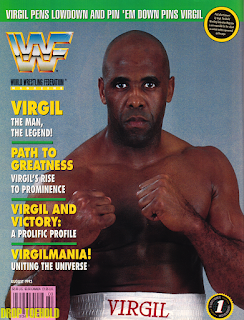 Virgil joined the WWF in 1987 as the manservant of "Million Dollar Man" Ted Dibiase. 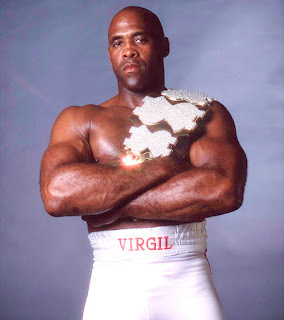 Realizing that Ted Dibiase would soon be in the shadow of this charismatic performer, Virgil was made the silent bodyguard with the fast fists. 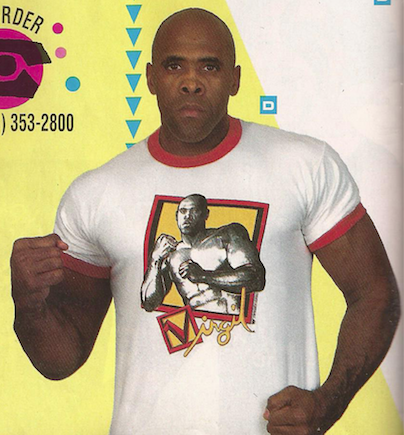 Virgil would take the brutal punishment and bumps that Dibiase was clearly unable to take and Virgil made the otherwise boring cards headlined by stale acts Ricky Steamboat and Randy Savage, the most memorable shows in wrestling history, as he took on the uber-talented Outback Jack and Ted Arcidi. Main eventing Royal Rumble, Wrestlemania, Survivor Series, and Summerslam as well as constant request for personal appearances for 7-11 openings, as well as spending his weekends selling his wares at that food court his local mall, in an attempt to stay grounded and reconnect with his community, catapulted this superstar into the stratosphere. The fans were ready for their favorite star to be the next face of the company. 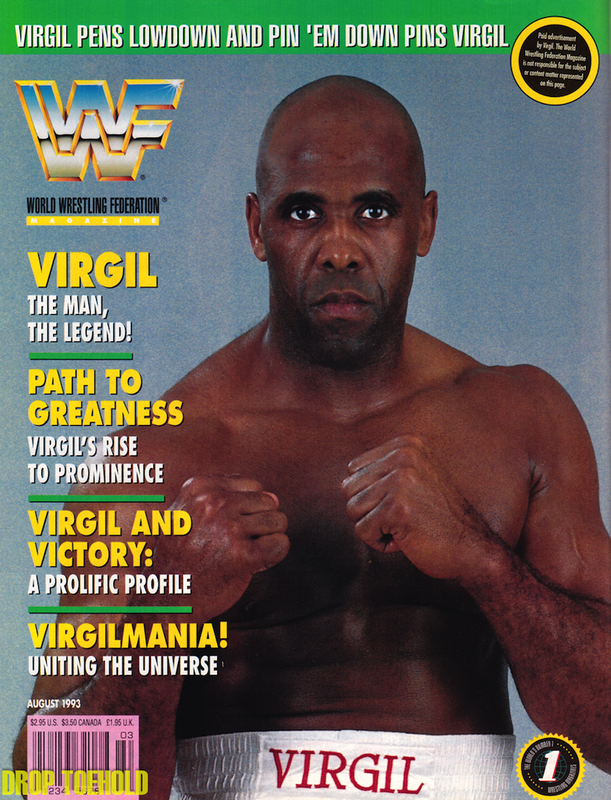 Sadly, it would be 4 years until the fans were given what they truly wanted: Virgil's first WWF title run. Virgil became the second yet most popular Million Dollar Champion in history. Sadly, his planned and much anticipated world heavyweight title run was cancelled by a red and yellow crybaby who realized he'd lose merchandise sales, endorsement deals, Make-A-Wish appearance requests, and paychecks would vanish. This political game would hamper down the wrestling technician standout. His planned WWF Magazine tribute issue was also cancelled due to Hulk Hogan's insistence on printing a special look at 1993 blockbuster Mr. Nanny. His entrance into WCW as the head of nWo security was a moment fans across the world had been begging for. Walking out on the WCW Nitro set made the live crowd erupt and it was only a matter of time til Big V would win his first major title, as he was penciled in to beat the less talented Ric Flair to become the holder of the prestigious WCW Heavyweight Title, a title that, up until that point, only the finest athletes and respected indivuals have held. Sadly, The Nature Boy, afraid for his livelihood and knowing his days as the face behind WCW were through, put the veto on this. The V-Man would then flounder and do nothing of note.